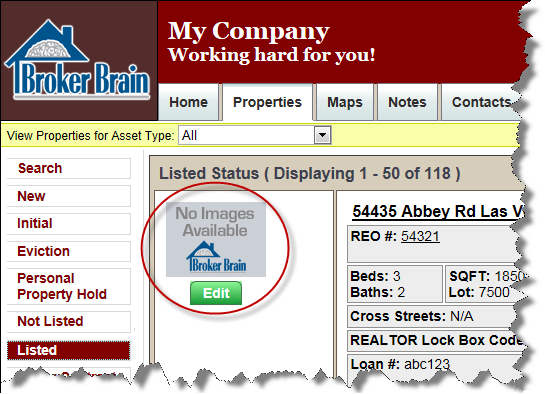 Each property within Broker Brain has a thumbnail photo that appears on several pages throughout the system, including the Main page, the Search page, and, as shown below, the Property Status Pages. You can determine which photo you would like to appear here by how you designate photos you upload. When you are uploading photos, designate them as Public Images. 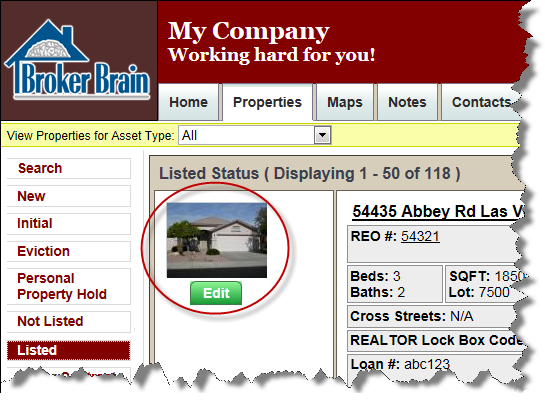 Broker Brain will, by default, assign the first photo in the series as the primary photo, placing it both on your public site and within Broker Brain wherever the thumbnail image appears. 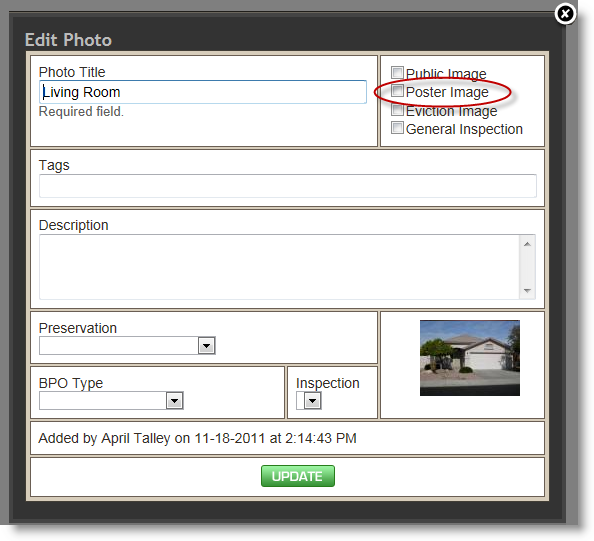 Designate the desired photo as the property's Poster Image, either during the upload process or by editing it afterward. If you have not yet uploaded photos into Broker Brain, follow the instructions provided here to do so. When you come to the Upload New Photo dialog box, check the Poster Image box shown circled below. If you had previously selected a different photo as the Poster Image, when you designate a new image as such, it will override your previous selection. Broker Brain will only allow one Poster Image per property.